Extensive catalog of microbial secondary metabolites. 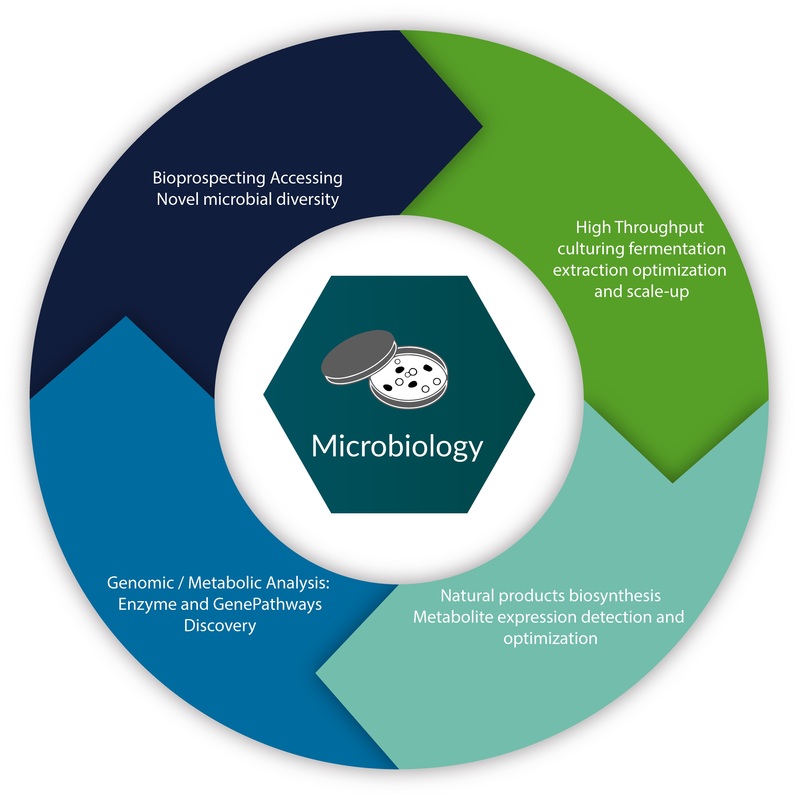 Search and selection of microorganisms with specific properties or chemistry. If you are interested in specific microbial metabolites, we can make your compound with our strains or yours. Fermentation scale up and process improvement. Our facilities and experience can help you scale up and improve your microbial processes. Microbial identification and diagnosis. We have extensive experience and infrastructure for identifying fungi and bacteria, including diagnosis of contamination and plant pathogens. Molecular Biology. Purification of microbial DNA for genomic sequencing and biosynthetic pathway elucidation. Although of microbial collection is not for sale, we can help you select strains from our collection for your applications under a material transfer or licensing agreement.